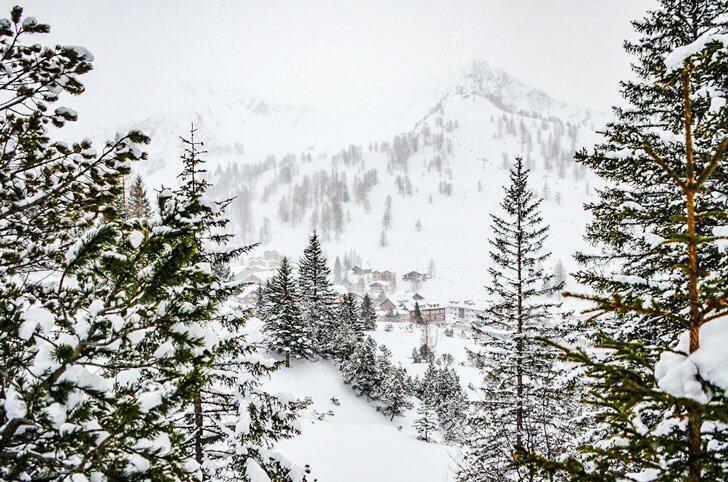 Adi shares a winter day-trip to Liechtenstein’s only ski resort town and some great ideas for things to do in Malbun. Over the years I’ve had a love/hate relationship with winter. I grew up in Timisoara, Romania, absolutely loving winter. 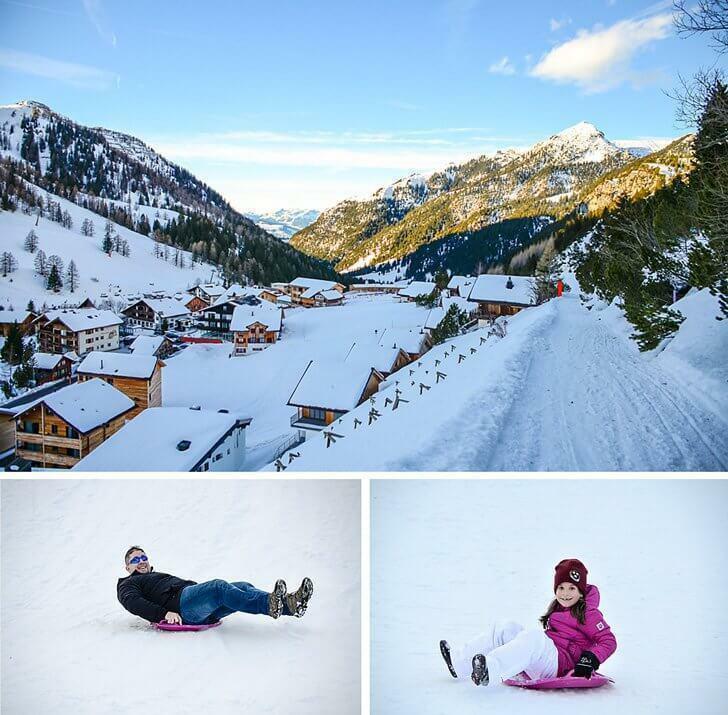 Almost every year we had lots of snow, making us kids very happy. In my young adult years, winter proved to be less fun in the mornings when I had to make my way to work through snow and ice. Leaving Romania and living in countries that didn’t get much snow slowly changed my view of winter into a not-so-friendly one. After acclimatising to living in Southern Italy, followed by the Southern United States and then Belgium, I was dreading going back to a cold climate. 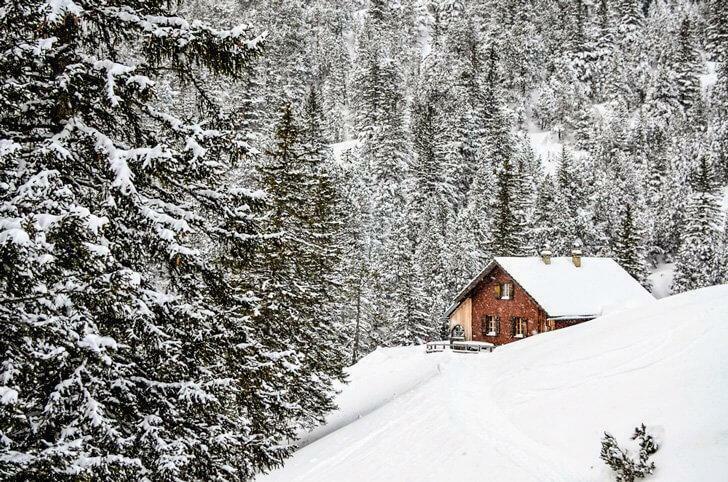 With our move to Germany and being closer to the Alps, childhood memories returned, and I started to long for snowy winters again. Sadly, our region mostly gets rain. Since a wet, cold winter is nobody’s idea of a good time, every year we chase the snow in nearby parts of Germany or just outside its borders. 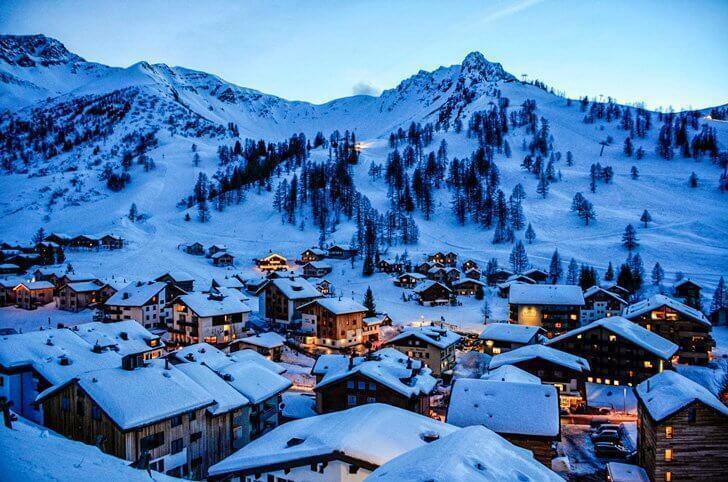 Malbun is Liechtenstein’s only ski resort town. 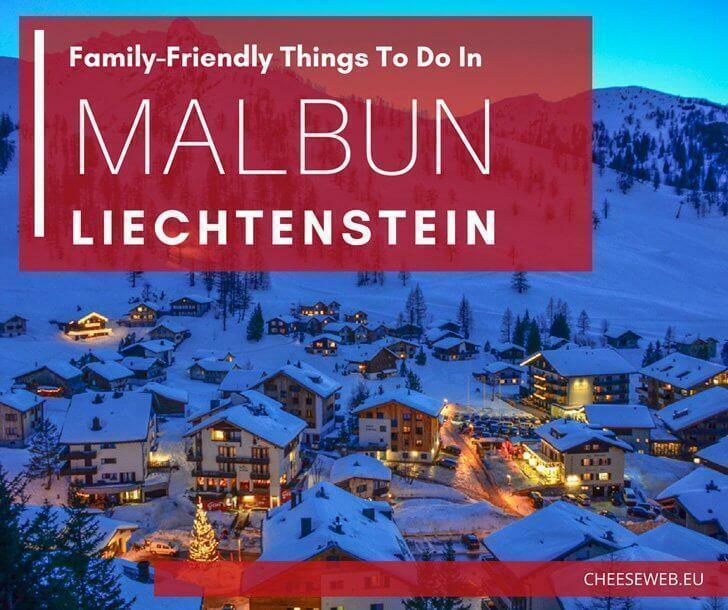 This year we discovered Malbun, the only ski resort village in the micro-country of Liechtenstein. It is located at 1,600 meters (5,249 feet) above sea level, in the Alps, and less than two kilometres from the Austrian border. It is also well known for fantastic summer hikes and other outdoorsy activities such as mountain biking and rock climbing. Here you’ll even find stroller friendly hikes if travelling with little ones. Because it was only a 2.5h drive from Stuttgart, and they had a lovely, and most importantly, easy, winter hike advertised on their website, we decided to give it a try. When travelling with our kids and small dog we cannot get too adventurous, but I knew they could handle this. The day we first visited we encountered with the most ferocious winds that kept us from doing anything on the mountain. The ski lifts were closed, and we could not set foot on the slopes without being blown in all directions. Since the hike was not possible, we decided to discover other things to do in Malbun. 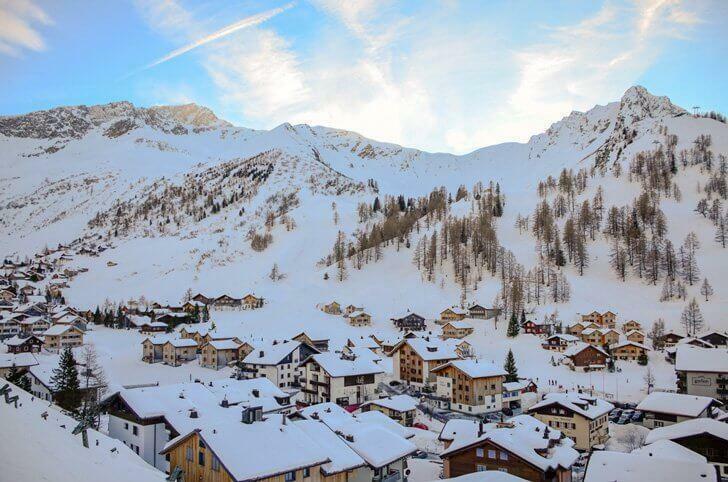 Malbun is tiny, with shops, hotels, ski and skates rentals, and restaurants being the primary businesses. We realised we weren’t prepared for any winter activity, so we bought two saucers for our kids so they could sled in the centre of town. The snow is so high in Malbun most of the village is a ski/sled/bobsled path. It is the only place in Europe, outside of Scandinavia, I saw people going grocery shopping with a sled. After a couple of hours of watching my kids and husband frolic in the snow, we decided to see what the culinary scene looked like in Malbun. Hotel Restaurant Walserhof’s menu looked enticing, and after a quick family debate, we decided this was where we would have dinner. To our delight, we chose correctly as dinner was something to remember. I loved how every dish was explained, so you know exactly where each item on your plate is sourced. 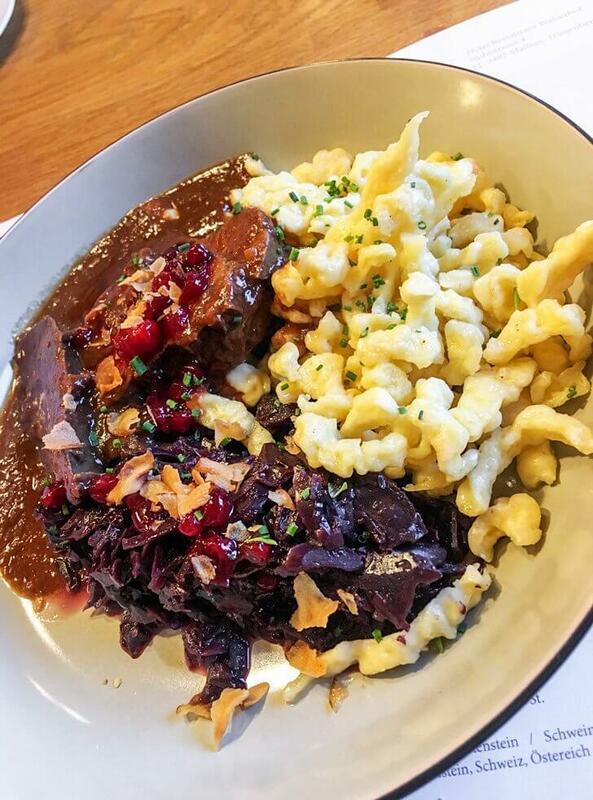 I chose the local game, deer with red cabbage and homemade spaetzle. It is a perfect choice if you are starving as the dish is massive. The service was speedy and the prices reasonable enough to not break the day-trip budget. With rosy cheeks and full bellies at the end of the day, we made our way back to the car deciding this would not be our last visit to Malbun. Sure enough, this past weekend, we returned ready to take on the mountain. This time there was no wind, and light snow was falling gently to the ground covering everything in fluffy white powder. It still was not ideal for a hike, but we gave it a shot. The path was reasonably clean, and it looked like it had been walked on all day. As soon as we started to walk, I fell in love with the scenery unfolding ahead of us. Everything was white and perfectly quiet. 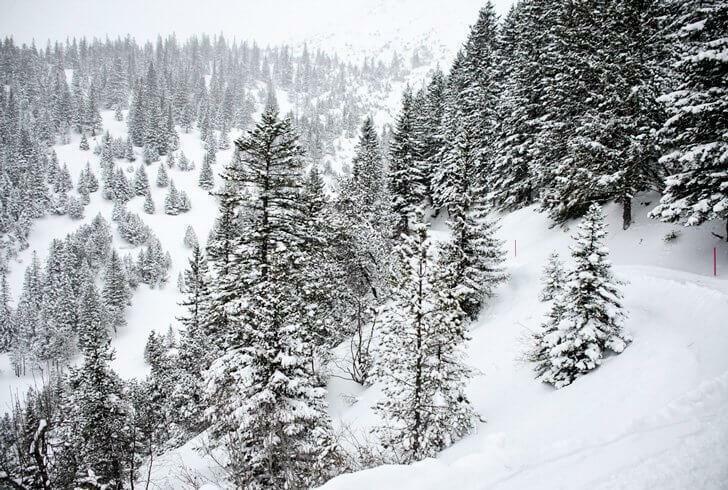 Every once in a while, a gust of wind would shake the trees spreading white powder all over, including us. I was in heaven. The hike follows the pink path under the name Sassweg. It is well marked with pink poles every ten meters or so. As long as you do not stray intentionally from the trail, there is no way to get lost. You’ll start at the Peace Chapel and continue until you reach the peak of the hike at 1725m above sea level. The tour continues over the Alp Sass and down to the ski lift in Schneeflucht. From there, you head back to the centre of Malbun. The difficulty level is low, but you still have to be fit enough to take on the almost 200m ascent. Our kids did great, even in the snow, although my daughter did find it a bit hard. Unfortunately for us, although it’s advertised the path is well maintained, about halfway through we reached a dead end. The snow had not been cleared all the way, so we turned back on the same path we returned the same way. Nevertheless, it was a magical 90 minutes spent with the family. I now want to go snowshoeing every year. I find the white, still, perfectly set scenery invigorating and battery recharging. Although this winter we will not go back to Malbun, we will give it a try in summer. We are hungry for a new family hiking adventure. 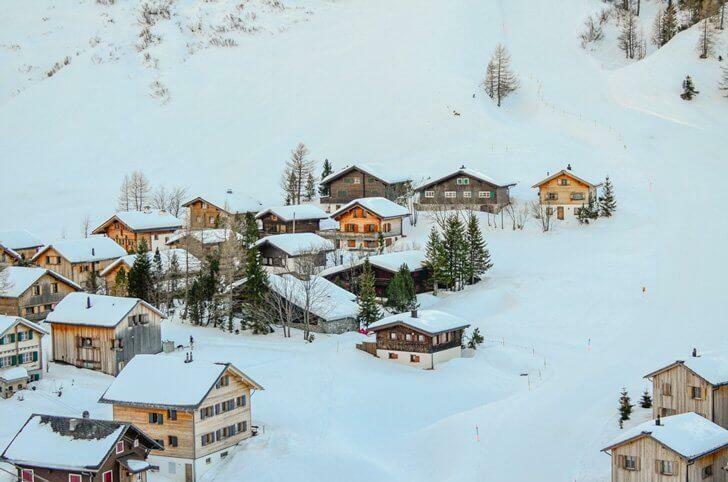 Although the village is engulfed in snow, the main road is clean and ploughed every hour on the hour due to the public bus that goes all the way up in the centre of town. 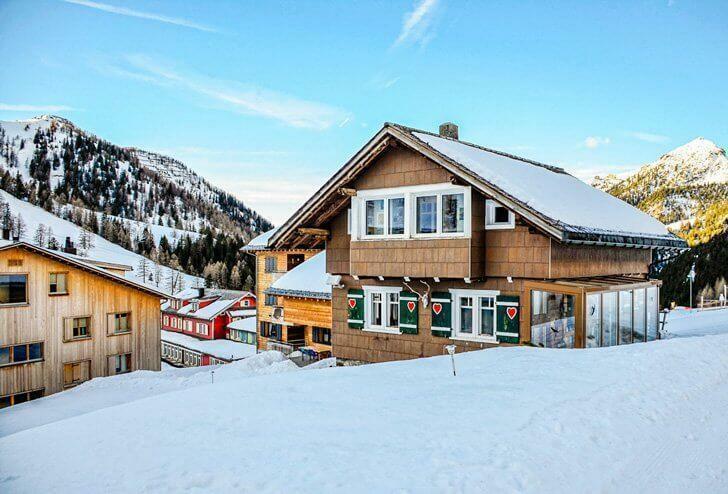 Hotels in Malbun are reasonably priced compared to other ski resorts making it a great place for a winter holiday. 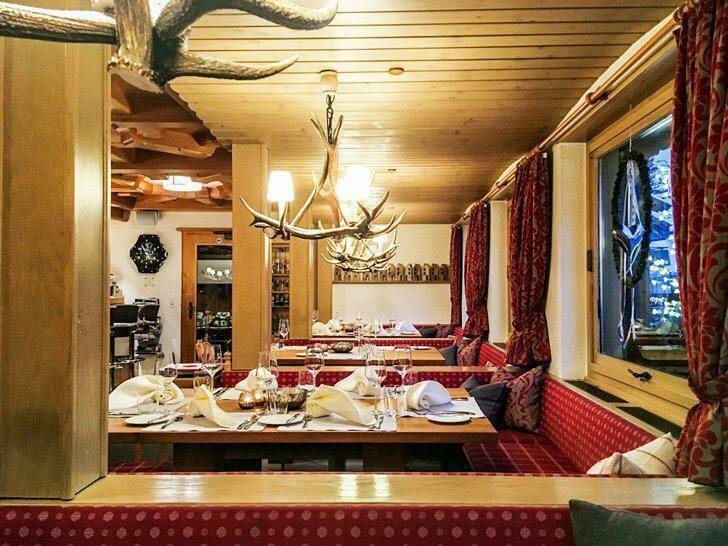 Double rooms at the family-friendly JUFA Hotel Malbun Alpin Resort start at just over 100 euros. Liechtenstein may be very small, but it packs a big punch. If you love the outdoors, you’ll be so happy you decided to give it a try. I know we are.